Tummy tuck surgery has the potential to create amazing improvements in both physical appearance and self-esteem in men and women. A tummy tuck is most commonly performed on patients who have lost significant weight or have recently had a child. When either of these occurs, a patient can be left with empty skin that hangs over the abdomen and flanks. Although the tummy tuck procedure has been around for a while, it has been constantly improved over the years to provide better results and a quicker recovery for a wider variety of patient body types (visit our top ten tummy tuck recovery post to learn more). In addition to a full tummy tuck, Dr. Repta performs several variations, allowing patients of different body types to benefit from this rejuvenating procedure. In this way, he delivers among the best tummy tucks Scottsdale has to offer. In the world of cosmetic plastic surgery, "mini" often indicates a less-invasive, smaller-incision, shorter-recovery procedure. A mini tummy tuck is perfect for patients with loose skin below their belly button. An extended tummy tuck is suitable for patients with excess skin on the flanks as well as the abdomen. Dr. Repta performs a careful evaluation with every patient, ensuring they get the procedure that's right for them. In Dr. Repta's Scottsdale practice, he offers an endoscopic tummy tuck, an abdominoplasty procedure with just 2 tiny incisions. With precise instruments, he tightens underlying contours with minimal tummy tuck recovery. As a top tier plastic and tummy tuck surgeon, Dr. Repta does not consider his duty is to sell a patient on plastic surgery. Instead, his job is to provide the proper information and guidance to help all his patients make the right decision for themselves. In doing so, he gives them the chance to have a positive experience and a wonderful result. He performs surgery efficiently and thoughtfully—as if the patient is watching the surgery every step of the way. Dr. Repta considers it is a privilege and a tremendous responsibility knowing his patients trust him with their bodies. He does his best to live up to this honor with each detail of every procedure he performs. This means spending the time to provide clear and complete answers to patients' questions, carefully attending to each detail of the surgery and maintaining an active role throughout the recovery process. In this way, he seeks to provide among the best liposuction, Mommy Makeover and tummy tuck Scottsdale has available. To help mothers regain their pre-pregnancy figure, Dr. Repta performs the increasingly popular Mommy Makeover procedure. 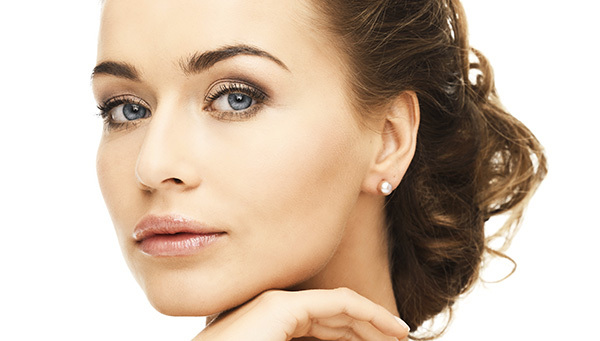 Instead of just one rejuvenating technique, the Mommy Makeover combines several techniques into a single surgery, providing overall proportion and improvement. While every mother's body is different, a Mommy Makeover usually includes breast enhancement and a tummy tuck in Dr. Repta's Scottsdale office. Perhaps a patient's breasts have begun to sag following pregnancy, in which case a breast lift would be appropriate, along with a breast augmentation to increase volume. A tummy tuck can further help mothers get relief from sagging skin on the abdomen. Whatever your perceived issues, Dr. Repta will help craft a customized plan to give you a figure that may even be better than your pre-pregnancy body. Despite a balanced diet and consistent exercise, we are genetically programmed to maintain fat deposits in certain areas of our bodies. Even at our thinnest, these "trouble spots" can be annoying and frustrating, often keeping us from looking and feeling our best. 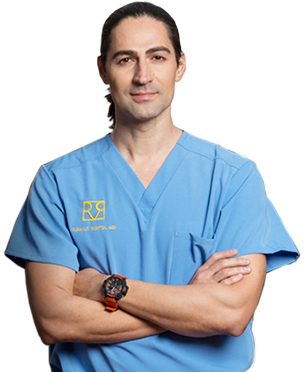 Board-certified plastic surgeon Dr. Remus Repta offers an effective solution: liposuction at his Scottsdale practice. This minimally invasive surgical procedure can help you eliminate stubborn areas of fat and allow you to achieve the body you have worked so hard to attain. Liposuction, also called liposculpture, remains one of the great advances in cosmetic body contouring surgery. It has been around for more than 20 years and, when performed properly, is very safe and highly effective. This procedure is more popular than ever, thanks in large part to the many developments that have made it safer, more effective, and more comfortable. If you're interested in receiving liposuction from one of the best liposuction and tummy tucks surgeons in Scottsdale, Dr. Repta may be just the surgeon you're looking for.